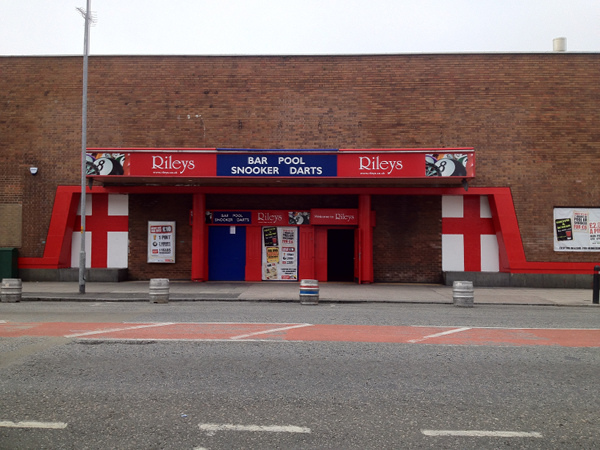 The Broadway Cinema was on Stanley Road Bootle, the site which is now Riley’s Snooker Hall, although not the original building. The original building was designed as a Roller Rink and opened in 1909. Following costly alterations the building became a cinema in 1912 simply known as the Picture House. The Picture House held 1200 in a stadium style auditorium. The opening film program in July 1912 included ‘Paris – The City of Charms’ ‘Lottery Ticket No. 13′, ‘A Helping Hand’ and a colour Pathe production which showed a village in Borneo Asia. Films were accompanied by The White Ladies Orchestra. Prices were 3d for Pit Stalls, 6d for Stalls and 9d for the Grand Lounge. In 1921 the cinema was added to the Bedford Cinema Circuit and underwent further changes. 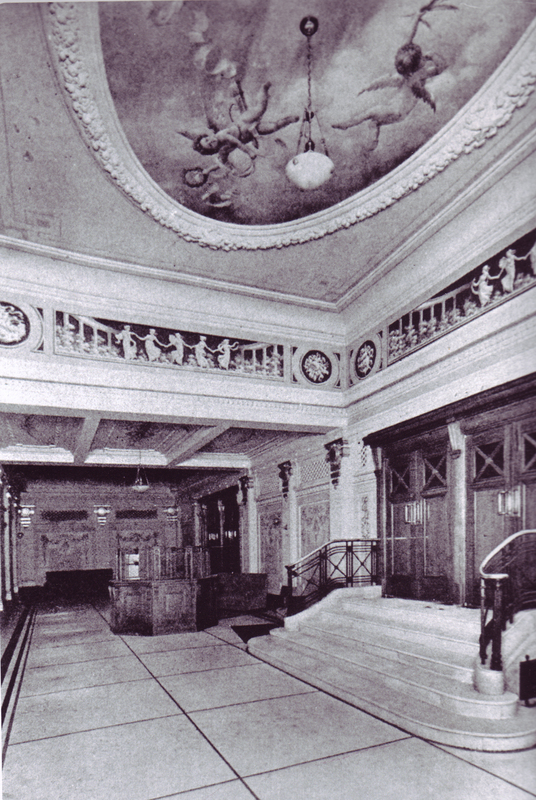 It reopened as The Broadway Cinema fitted with plush tip up seats and Grecian style decoration adorning the walls. 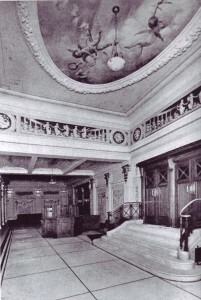 The photograph below shows the ornately decorated entrace of the Broadway Cinema, showing the eleborately painted cherubs on the ceiling which over looked the cinema goers. Opening on Boxing day 1921 the Broadway’s opening holiday film program was accompanied by The Grand Orchestra directed by Alfred Delmonte. Prices at this time in the Broadway were 6d, 9d and 1/ for a continuous evening program from 6.30 until 10.30. In 1929 the cinema became part of the GTC Circuit and became a GB Cinema. 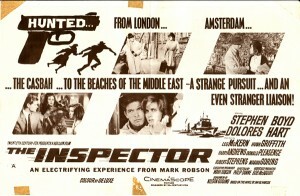 It was fitted for sound and opened with the first British sound film, Alfred Hitchcock’s ‘Blackmail’ starring Anny Ondrea and John Longden. 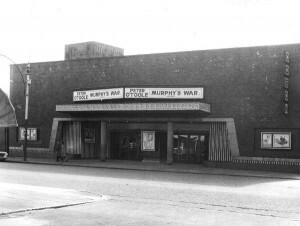 The Broadway was a very popular cinema and showed first run GB Circuit release films. 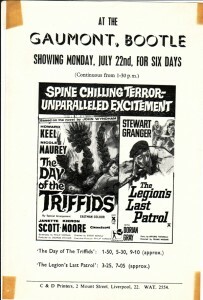 The last films shown at the Broadway included ‘Third Finger, Left Hand’ starring Myrna Loy and Melvyn Douglas and ‘The March of Time No.11′ on 8th May 1941. 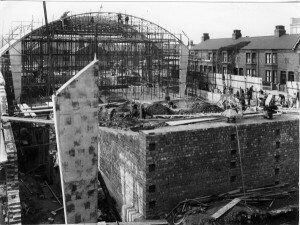 The building was destroyed during the May Blitz of 1941. 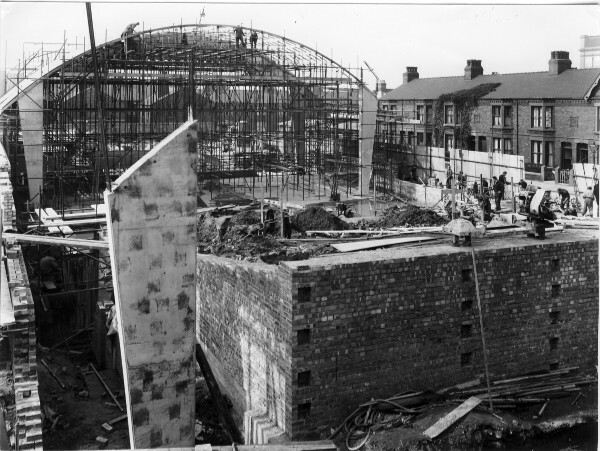 It remained derelict for several years before being demolished to make way for a new cinema on the site – The Gaumont Bootle later becoming and Odeon. 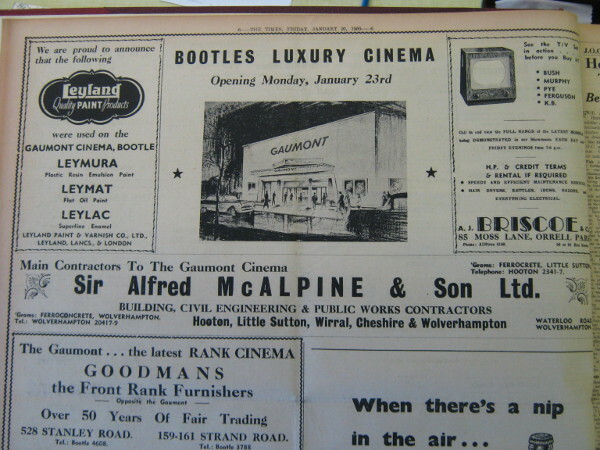 The Gaumont cinema in Bootle was built around the time television was becoming more popular in the home. 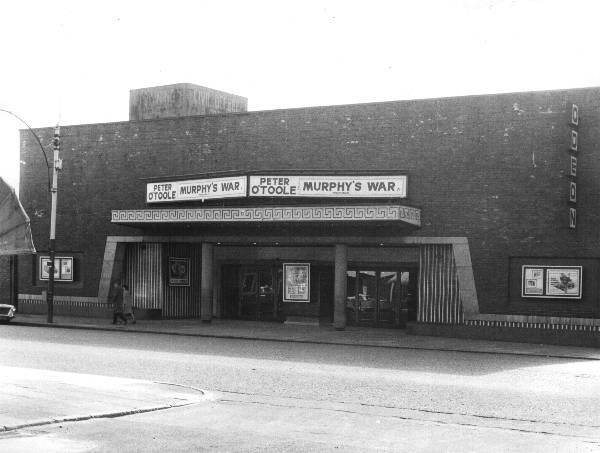 Despite this it was a well attended cinema for the first part of its life as a new Picture House. 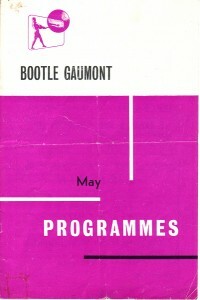 The Gaumount was opened by the Mayor of Bootle with special guest appearance from actor Anthony Steele and was a celebrated event within the community. 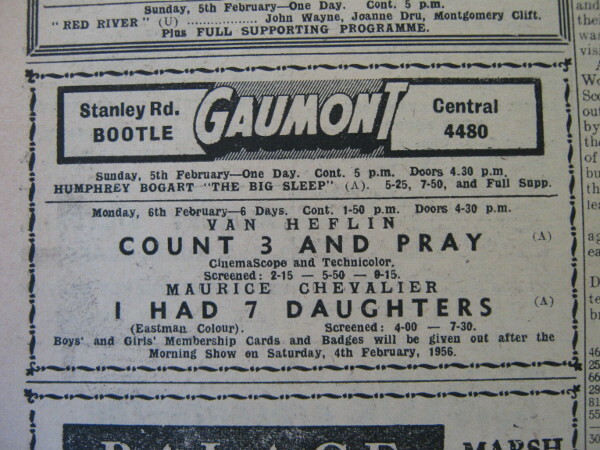 The cinema opened on 3rd January 1956 and had first surburban runs of the latest Gaumont Pictures. 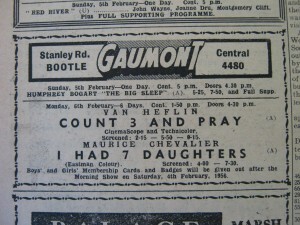 From 1959 onwards film bookings became concurrent with the Odeon Crosby. 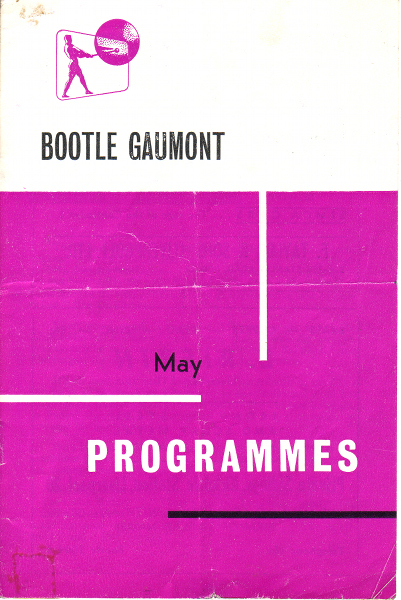 Around April 1964 the cinema was renamed the Odeon, Bootle. 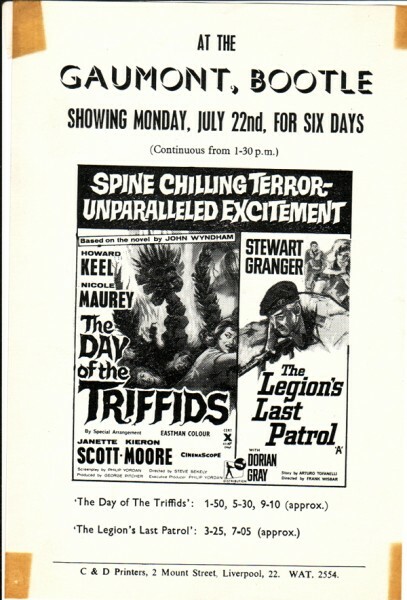 By 1965 continuous daily screenings were reduced to three times a week as cinema admissions declined. Televisons in the home by this time were more common place, the choice of channels and programmes contributed to the demise of local cinema going and the eventual closure of the Bootle Odeon. 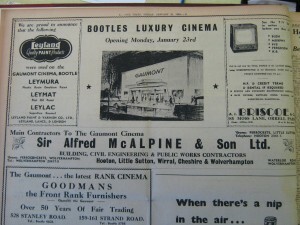 The Bootle Odeon lasted as a cinema until 1975. Mike Taylor was one of the projectionists working there when Shampoo, starring Warren Beaty and Shirley MacLaine became the very last film to be screened.